We all know that most New Year’s goals fail. “Eat better, exercise more, quit smoking.” They’re vague and lack any real depth or planning. 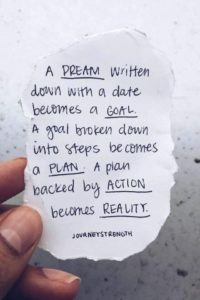 The fact is most of us don’t know how to set real goals. I wrote this article to show people how to turn their dreams into reality. My dream was to complete a Half Ironman Triathlon in Hawaii. Therefore, I hope you don’t mind IF I use my triathlon training as an illustration of each principle. Find a cause. 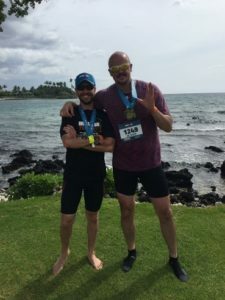 For those who don’t know, a Half-Ironman Triathlon (Ironman 70.3) is a 1.2 mile swim in the ocean, a 56 mile bike ride up and down the Hawaiian mountains, and a 13.1 mile run in the blazing heat. 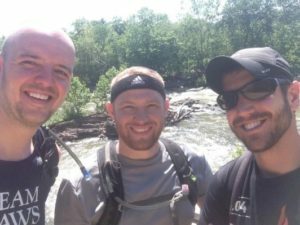 In order for me to stay dedicated enough to push through all the training necessary to complete such an event, I knew I’d have to have a clear purpose for doing so. 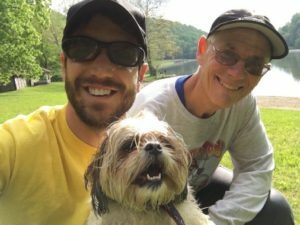 For me, my cause was three-fold: Number 1: I wanted to run it with my friend Oliver whose mother had recently died of lung cancer. It was Oliver’s idea to run the Ironman and I wanted to support his cause. Number 2: I thought to myself, if I can swim 1.2 miles in the ocean, and I’ve never done that before, then perhaps I can do other things I’ve never done before- like publish a book. And Number 3: I thought, if I can achieve something I’ve never done before, then perhaps I can inspire others to do new things as well. What motivates you to achieve your dream? 2.Commit, then figure out. 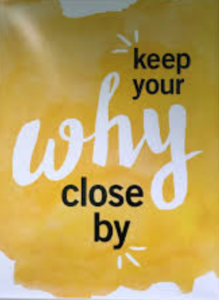 I have a saying I’d like to share. 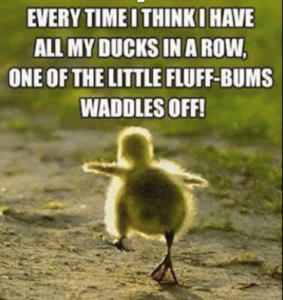 “Ducks in a row, is a no go.” Indeed, often times we delay committing to a goal because we think, “well, the timing’s not perfect and I don’t have a crystal-clear game plan yet, but maybe when I do, then…” The trouble is, “then” never comes. At age 30, I did not know how to swim. I could doggy paddle to the end of the pool if I had to, but I didn’t know the strokes. Nevertheless, I committed to the Ironman 70.3 well before I felt confident as a swimmer. In retrospect, I am very glad I took this approach. If I had waited till I was a competent swimmer, I’m not sure I ever would have ever truly committed and the dream may have faded. Skin-in-the-game. Gym memberships, personal trainers, exercise equipment, etc. They aren’t cheap! Needless to say, neither is signing up for an Ironman 70.3. Between paying for a flight and hotel stay in Hawaii, swim lessons, etc. it quickly added up. Still, I knew in my heart that the more I had invested in my goal, the more likely I would be to achieve it. If you truly want to achieve any goal in life, don’t be afraid to invest in yourself. The more invested you are, the more likely you will be to succeed. Positive self-sabotage. When we think of the word “sabotage” we usually think of it with a negative connotation. In fact, sabotage literally means “to obstruct.” Yet, there are many strategies we can use to obstruct ourselves from making poor decisions. For example, when training for the Ironman I made a concerted effort not to buy Snickers bars and keep them at home. 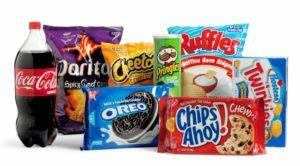 I knew if I had easy access to junk food, I’d be more likely to eat it. Therefore, I did the best I could to keep a clean fridge. When given the option between driving three miles to the nearest Sheetz, only to wait in line, to buy junk food, then to drive three miles back home. It was easier just to eat the carrots, hummus, or Greek yogurt already accessible to me in my fridge. Seek support. The fact is, you can’t have too much support. Think about all the great athletes of our time. For me, I think of Lebron James. I don’t know Lebron personally, but I imagine he has a coach, an assistant coach, a shooting coach, a nutritionist, a physical trainer, a massage therapist, and millions of fans cheering him on. In my mind, you can’t have too much support, but here the key: It’s your job to find it! Support is not a sign of weakness, it’s a sign of strength. Part of my support team for the Ironman: My friends Oliver and Chris. Make it measurable. One of my favorite saying is “what you measure gets improved.” My smart watch is excellent at this. It measures all my active minutes and calories burnt throughout the day. This is wonderful because I can see my stats every time I look at my watch. It gives me a rewarding feeling of dopamine when I’m doing well and encourages me to do more. And when I’m slacking, I can’t avoid the feeling of guilt that lets me know I need to get things back on track. Even for those of us bold enough to set a New Year’s Resolution, most of us won’t tell people our New Year’s goals. We’re afraid to do so. We think, “If I tell people my goals, and I fail, I’ll feel embarrassed.” In many ways, this approach makes sense. It protects us from feeling pain. The trouble is, with no accountability, it’s much easier to let our goals slip by the way. As scary as it may be, I try to tell everyone I can my goals. It helps keep me accountable. When I tell my friend Howard I’ll meet him at the park at 7 am, he becomes my accountability partner. Together, we’re stronger and better off (and more likely to show up) that either of us would be if left to our own devices. Sierra never turns us down for a hike! Goals don’t change people, routines do. This is why fad diets don’t work in the long term. 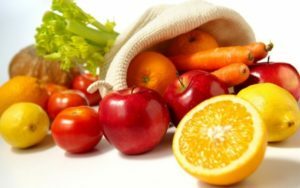 It’s our routines that become our lifestyle, and it’s our lifestyle that determines our long-term health and happiness. When training for the Ironman on Mondays I would run with Scott. Tuesdays I swam with Howard. Wednesdays I went for a hike with Sierra and my neighbor, Dan. Thursdays I went to the gym with Howard. 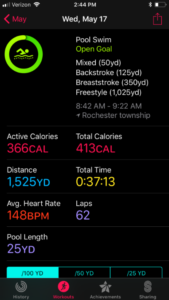 On Fridays and weekends, I would sign up to long run, go for a couple hour bike ride with a friends, or try for an open water swim when available. The activities changed slightly from week to week, but my routine was to do something to train for the Ironman at least 6 days a week. A healthy routine makes our long-term goals a reality. 9. Time bound. 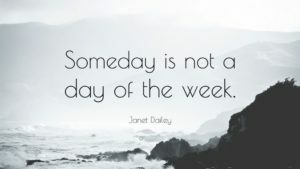 “Someday is not a real goal.” A goal that doesn’t have a time frame is unlikely to get accomplished. When a goal is time bound it gives us a sense of urgency that increases productivity. During my training, I knew there was no wiggle room for hitting my deadlines. Calling up the Hawaii Ironman organizer and asking them to reschedule the event for my needs obviously wasn’t an option, and honestly, I’m glad it wasn’t. It was this pressure that drove me to stay focused and on track. Stay determined. I’m not going to lie. 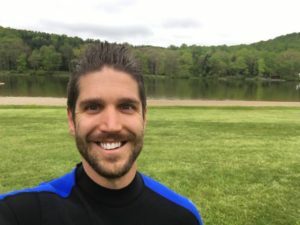 I freaked out at my first attempt with open water swimming. I hyperventilated, I couldn’t spot the marker in the water to go in a straight line, and I panicked. I only went half as far as I had set out to do as the safety boat guy and me became close friends. The odds of me completing the swim in Hawaii, now only a month away, were looking bleak. My spirits were at an all-time low. I thought about quitting, because it was too hard and I thought I might fail. Though I may look happy in the picture, I was filled with doubt. We all fall off the horse at times, the question is, how quickly are you willing to get back up? I decided that I had come too far to quit now. I got back in the pool and made some 4th quarter adjustments. I learned how to spot and got rid of the back stroke, instead, replacing it with a side stroke that allowed me to better hold a straight line. I reached out to friends who offered their support and encouragement. I did my best to get back on the horse. 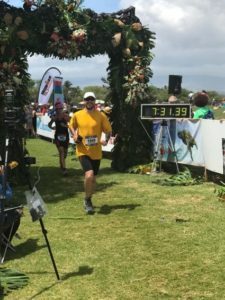 On June 3rd, 2017, I completed the Hawaii Ironman 70.3. If you remember back to the beginning, I had three goals as to why I wanted to complete this event. Number 1: I wanted to run it with my friend Oliver whose mother had recently died of lung cancer. Oliver and I both completed the event. I am quite sure his mother would be very proud. Number 2: I thought to myself, if I can swim 1.2 miles in the ocean, and I’ve never done that before, then perhaps I can do other things I’ve never done before, like publish a book. 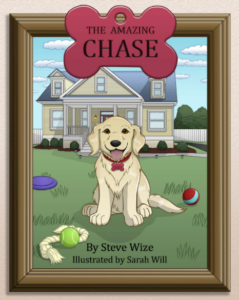 Sales from the book help support pets in need. Number 3: I thought, if I can achieve something I’ve never done before, perhaps I can inspire others to do these things as well. 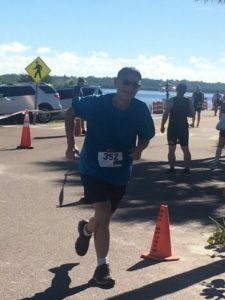 At age 60, Howard recently completed his first triathlon in Florida. In conclusion, it doesn’t matter if you want to complete a half Ironman, run a business, or publish your first novel, all of these principles can apply to whatever goal it is that you want to achieve. My hope is that by using these 10 principles of goal setting, you make begin to make your dreams a reality as well.